Sometimes….. I don’t like your kid. It’s weird, this dislike I find myself having. I think sometimes these kids I find myself despising might not seem so bad if I didn’t have kids of my own…. but since I do have kids of my own, other kids have-on occasion-become the enemy. I’m not proud of it. But I also don’t see myself improving until my kids start having the guts to be the aggressive ones on the playground or at the toy table in the coffee shop. Because that’s how it starts…my inner kid-hate…when I see my innocent little angel looking confused as they are fleeced of domino’s by some little 3 year old bimbo who doesn’t understand the concept of sharing. That’s what happened the other morning. I had just dropped Sammy off at his new preschool, so I may have already been a little unstable emotionally. I met my bestie at a little coffee place that had a cute little section for kids with some puzzles, books, and other toys. Jenna thought it was great. See?! Look how innocent she is!! So trusting! So all is going well, until these other moms come close with their own little girls who head right over to the table with Jenna. Now, these girls were a bit older, you could see it in the hardness of their eyes as they looked Jenna up and down, sizing up the competition. They knew an easy mark….. so first the curly haired one moves a globe away from Jenna, so she can’t spin it anymore…. all the while glancing between me and my baby, to see what I would do. I tried the death stare….nothing. These kids were tough. Now, the key is to give a look to that kid that says “step away from my baby before someone gets hurt”…. but at the same time appearing cool and unconcerned to the mom who may or may not be glancing over at the table, waiting for YOUR little one to start something with THEIR baby. *snort*, As IF! Then Jenna starts playing with the domino’s. There is a whole container of the things, and she’s got a few in hand. Of course, evil kid number 2 decides there are NO other good domino’s to be had…..other than the ones my sweet angel is holding. She creeps closer to my unsuspecting daughter, like a tiger stalking her prey…. watching me out of the corner of her eye, but Oh so boldly continuing on. Her hand comes out, takes one from Jenna. I look at the other moms, Oh, Of COURSE they are not paying attention to the future criminal over here… too engrossed in their own conversation. Now it’s on. Obviously, she’s got no soul. She must be stopped. She takes another one. My GOD…. I can’t take it anymore. For the love of all things holy, I must save my daughter! Then I played with them at the table. Just marking my territory……. Crisis averted. I had rescued my little one. My innocent Jenna-Bean, full of goodness and light. Protected her from the harsh world a little longer…. kept her away from the predators. Feeling pretty good about myself. Turn my back for 30 SECONDS. Glance back at my daughter. My innocent, sweet, perfect example of all that is right with the world. What?! Is she….. Oh….oh no…..
Curly hair got a cracker from her mom. Jenna honed in like a retriever. Stalked her around the table. I glanced over as she swooped in, and NABBED it. Oh, thank god…it dropped…. Grab it Curly, Grab it and get away! She did, Whew…… made it…. And I watch Jen. Sharing a stare with Curly’s mom. Licking crumbs off her finger. Pretty sure she’s saying “next time lady…. just wait”…..
So….. we moms shared a laugh. Mutually despising each others children, and somehow bonding at the same time. Sammy’s been going to preschool a few days a week, for just a few hours on those days. This summer there is a boy in class with him, Nathan. Or, as Sammy refers to him: “My super hero”. At first I didn’t even realize Sammy was talking about a real person, as he would spout off random facts about his super hero, and what they did together. he DOES sneak around the house, talking quietly into various phone-like objects, as he spies on us or fights “the bad guys” that only he can see. He loves being a super hero in his action fantasies, karate chopping as he jumps off his bed, or leaping into some sort of summersault before he dashes off to save the world… in our dining room. 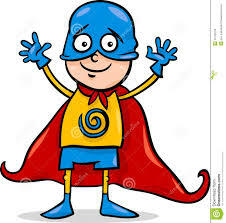 So I figured this guy he was talking about was his imaginary side kick. But, as I picked him up one day from school, he pointed him out to me. “That’s my super hero!” So began my understanding that this was a real boy my son seemed to worship. I asked questions, like “why do you call Nathan your super hero?” “Because he IS my super hero, mom!”. Oh. Okay. 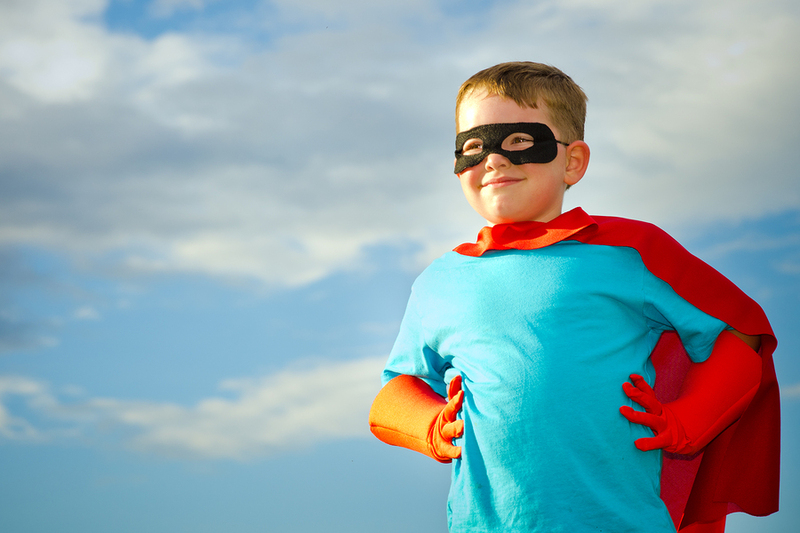 Well, I did see him wearing a Super man T-shirt that first day…so maybe this Nathan kid thinks he IS some super hero….maybe he only likes to wear super hero clothes or something. No big deal. But sometimes Sammy would talk in the back seat on our way home from school, and in his continuous monologue, I would here little things like how Sammy ALWAYS wants to sit by Nathan, but sometimes Nathan sits by other people and Sammy doesn’t like that. Because that’s HIS super hero… I wondered, did Nathan want to sit by Sammy as much as Sammy wanted to sit by him? “Sammy….does Nathan call you Super hero too?? ?” he said yes, Sometimes, Nathan calls him super hero, but he always calls Nathan super hero. He really, really liked Nathan. I asked him for the names of other kids he was friends with. He just shrugs. They aren’t his Superhero, so who cares? So this goes on. It’s not a daily obsession, but I hear about Nathan several times during the week. One day I was going to keep him home from school so we could go to the zoo with friends. Sammy wanted to go, but didn’t want to miss Nathan at school. We had graduated to “My Superhero Nathan”. We still went, I told him his super hero would be fine without him for a day. I really wanted to meet this kids mom. I guess I thought best case scenario, the boys would be equally obsessed with each other, and they could hang out sometimes. Maybe they were two peas in a pod, and would remain lifelong friends, understanding each other like no one else could. But first…I had to make sure Sammy wasn’t driving this kid crazy. I picked him up at school, gathering in the lobby with the other parents as we waited for the teacher to let us in. Surreptitiously glancing at the other moms….which one is His?? Once inside, I walk up to Sammy. “Hey, Buddy!, Where’s Nathan?” He points to another boy, who is not paying us any attention. I’m watching to see who is there for him. There she is, a slight blonde woman with a toddler on her hip. Excited, I head over, Sammy in tow. Well…. she DID smile at me. That’s pretty much it. I kept going. “I hope Nathan talks as much about Sammy as Sammy talks about him!” A teacher overhead us and came over, “Oh I know, he always calls Nathan his super hero!” This was met by another smile, a little laugh from his mom. But no real interaction. Clearly, she was not as excited to meet me. And her son….why wasn’t he talking to Sammy? He just sat there, still not paying us any attention. She was nice, not rude at all. But…there was no real interest coming from her. 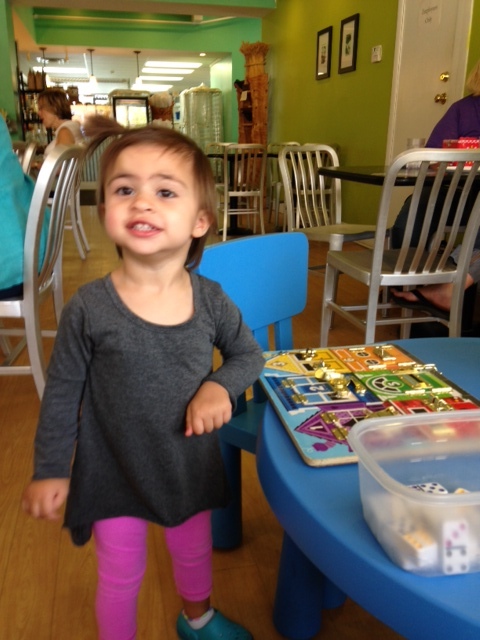 I didn’t feel like talking about play dates…..instead just said it was nice to meet her, and we left. I asked more about Nathan on the way home. Sammy was pretty adamant that he ONLY wanted to play with Nathan. No one else. He only wanted to sit by Nathan. Then he mentions to me that Nathan felt sick today. According to Sammy, Nathan told him not to sit next to him because he was getting sick. He even held his arm out to ward Sammy off. Sammy felt like it was worth the risk…and reports sitting by Nathan anyway. So now I’m starting to feel weird. Is my son stalking this boy? How do I fix THIS? 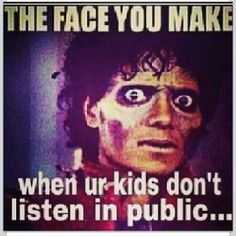 I try talking about how it’s nice to play with ALL the kids…. and every one might be a good friend to have, and wouldn’t it be nice to have lots of friends at school? No, Sammy is completely sure he doesn’t need anyone but his super hero. Well, “does Nathan play with other kids?”, Well, if he does, Sammy doesn’t see it. He says no. My friend takes Sammy to school on the days I work. She met Nathan’s dad….one day Nathan introduced Sammy to his dad when they were picking up the kids. This makes me feel slightly better, at least Nathan hadn’t run away from Sammy, screaming for his dad to save him from my son. I’ve talked about it with my family. I feel bad for Sammy, and I want to make sure he isn’t acting in a way that bothers anyone else. As my family pointed out….I would surely be notified if he was causing any trouble…. but I don’t want him to be the obsessed kid, following someone around all the time. I want him to be the one other people are obsessed with….it’s SO much cooler! Well, I guess I’ve just got to look at the upside. So far, my son has absolutely NO idea that he is possibly stalking someone. He’s happy, excited to go to school, and happy to have his super hero Nathan to play with. He’s confident in his choice of friends, and believes his feelings are reciprocated. I’m GLAD he’s happy. I’m still going to encourage him to play and get to know the other kids. This is my first stalking, I don’t know really what else to do.